In the Dark Knight, Freeman plays Lucius Fox. 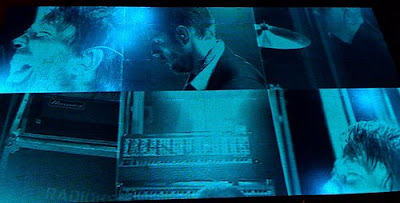 Lucius, the gadgetman, was quite proud of himself for applying 3D sonar to an unreleased Nokia to outsmart Lau in his HK tower, but when Batman unveils his 'social networking' version of 3D Sonar later in the movie it's not Lucius Fox who's upset. To me I clearly hear Morgan Freeman shining through in his great disappointment in Batman for trespassing on the city of Chicago's civil liberties. Yes, Morgan Freeman was against using private location data, even to foil the Joker. Would Morgan Freeman be just as miffed at the fact that most people on social networks default to giving away their private data? Would he just lose it if he walked into the offices of Facebook and Tapulous and found most social graphs to be quite revealing? Is there not something for which this aggregated data would be useful or artistic that would calm Lucius Fox from thinking that it's necessary to keep location data private? Or is this whole endeavor condemned to darkness? Should we be opt-ing out more? 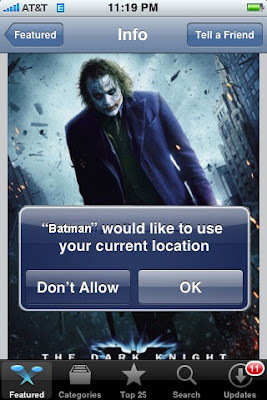 I've been letting every application I have on my iPhone know my location. I know, I still don't have the GPS enabled iPhone 3g, so that's kind of cheating because the location I update is pretty much 'he's in NYC'. But just like with everything else interactive I'm letting my guard down in favor of improved services, just as Batman trades in his old, one-piece batsuit for Lucius Fox's new model with more flexible armor. Since there are now spaces, joints where he could get hit, Lucius warns Bruce Wayne that he's no longer impervious to bullets with the new suit on. For matters of virtue, I have set my default to Mr. Gravitas, Morgan Freeman. However, I'm not ready to opt-out for new services. For now I'm going to offer up my location. I'm also not ready to opt-out of Google or Yahoo's targeted advertising. I want the new Batsuit. I wasn't afraid of gmail giving me relevance to my advertisements on the right side of the page, and actually, this whole 3D sonar thing to me is just the prep-work for how targeted outdoor advertising would work. I'd see it working in the following way...your phone repeats everything around you back to a server and not only is location used, but the sights and sounds, local news and everything else could be in play. Wouldn't it be cool to see what kind of ads show up based on all the stuff people were saying around you at the Radiohead show on Liberty Island last Saturday? I mean everyone was singing along, and then there were little fights breaking out when random girls were fighting for position - wouldn't it be interesting if those keywords somehow generated the BeKanyeNow Absolute ad? Maybe a human element could be introduced. The true targeted advertising warrior would be someone sitting in Lucius Fox's chair, who with a mastery of pop culture could program ads to be funny or ironic based on what's going on in front of you. 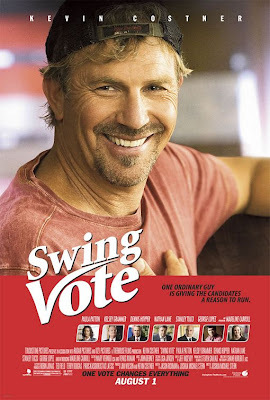 Say you notice lots of people stopping and staring at the posters of Swing Vote, all over the Upper West Side, and it's not because we like it it's because we're clearly not getting the point of this movie. Like a performance artist you play with the keywords coming from all the phones to generate the right contextual tag line that understands that you are skeptical of Kevin Costner and that there's a movie about politics just because it's election season. This dark knight / advertising warrior would have the power to rickroll entire cities or just connect with one person based on the data coming in from their phone and the advertising creative the dark knight was licensed to use. To me that would have Real Deep Impact - I'd actually love it. Most people revile at any advertising innovation as an invasion of something or other, but to me when you let innovation flourish life becomes one of Hitchcock's slices of cake. You wouldn't have to run this type of personalization all the time, just when there's lots of real traffic.